From November 16,2016 to November 18,2016, the 77th API Trade Fair (API) held in Wuhan. 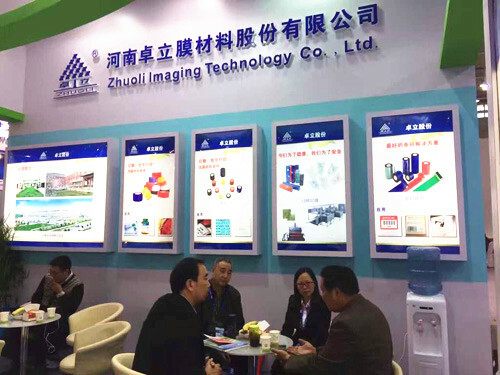 As a professional manufacturer of thermal transfer materials, Henan Zhuo Li Imaging Technology Co., Ltd. participated in the exhibition. API Conference As the flagship exhibition of new products and new technologies in China's pharmaceutical industry, we focus on improving the overall level of production, research and development of Chinese pharmaceutical raw materials, pharmaceutical excipients, natural extracts, intermediates, pharmaceutical packaging materials and pharmaceutical equipment enterprises. During the meeting, there are more than 1,000 raw materials leading enterprises, more than 300 fine pharmaceutical packaging enterprises, more than 200 well-known pharmaceutical equipment enterprises. In recent years, our company has been actively involved in API exhibition, effectively expanding the brand influence for many food and pharmaceutical companies. During the meeting, our company received the original high-quality customers, but also exposed to some new customer groups, we showed a better quality of service and laid a good foundation for next Cooperation.